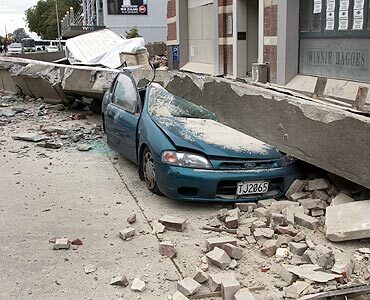 At least 65 people have been killed as a 6.3-magnitude earthquake struck New Zealand's southern city of Christchurch early Tuesday, damaging buildings and sending thousands of panicked people rushing into the streets. 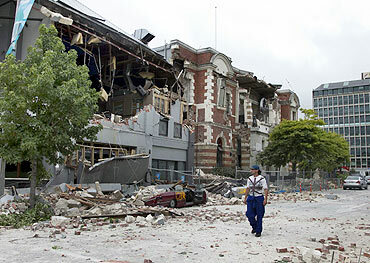 New Zealand Prime Minister John Key on Tuesday said it was likely the quake would prove to be New Zealand''s "darkest day". He said that New Zealanders should be assured that their government is doing everything it can to provide relief and rehabilitation. He said there were 180 police on the ground, a further 200 were on the way and 350 military were already in Christchurch with another 250 to arrive soon. The government had accepted offers of specialist help from Australia and the United States. "I don''t think we can go past the fact that we may well be witnessing New Zealand''s darkest day," Key said..
Christchurch Mayor Bob Parker said, "As daylight comes tomorrow we need to prepare ourselves for what is likely to be significant numbers of casualties." He has declared a state of emergency. Live video footage showed parts of buildings collapsed into the streets, which were strewn with bricks and shattered concrete. Footpaths and roads were cracked and split, and hundreds of dazed, screaming and crying residents wandered through the streets as sirens blared throughout the city. The TV footage showed onlookers clinging to each other and others bleeding and limping, many searching for loved ones and trying to reach trapped people. 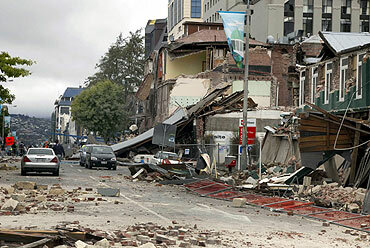 People fled the city centre as emergency services rushed to the area to evacuate those trapped in buildings. Local police said that there were multiple fatalities in the city, including an accident in which two buses had been crushed by falling buildings. A police statement said there were reports of fires in the city and people being trapped in buildings. 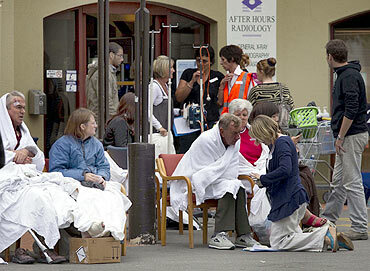 The airport was closed and Christchurch Hospital was evacuated. Power and telephone lines were knocked out, and pipes burst, flooding the streets. Some cars apparently parked on the street were buried under rubble. 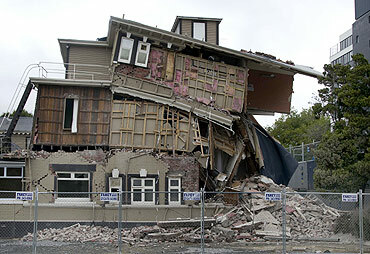 Some reports suggested that the trembler should be considered as an aftershock to the 7.1 magnitude quake that struck Christchurch on September 4 last year, damaging 100,000 homes. Amid chaotic scenes and the wail of sirens in the city centre, one Christchurch worker Julian Hogday said he was lucky to survive as his apartment store was severely damaged. 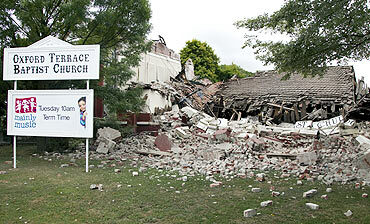 "It was just unbelievable, it was so strong, nothing like I've ever experienced before, just horrible," Hogday told TV3. 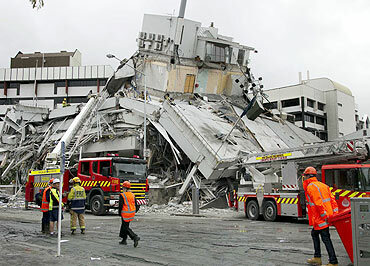 "It was just horrific", Christchurch resident Sean Scanlon said, adding it was by far the biggest shake since the original September 4 quake. New Zealand sits on the Pacific 'ring of fire', an arc of earthquake and volcanic zones stretching from Chile in South America through Alaska and down through the South Pacific. It records more than 14,000 earthquakes a year but only about 150 are felt by residents, and fewer than 10 a year do any damage.